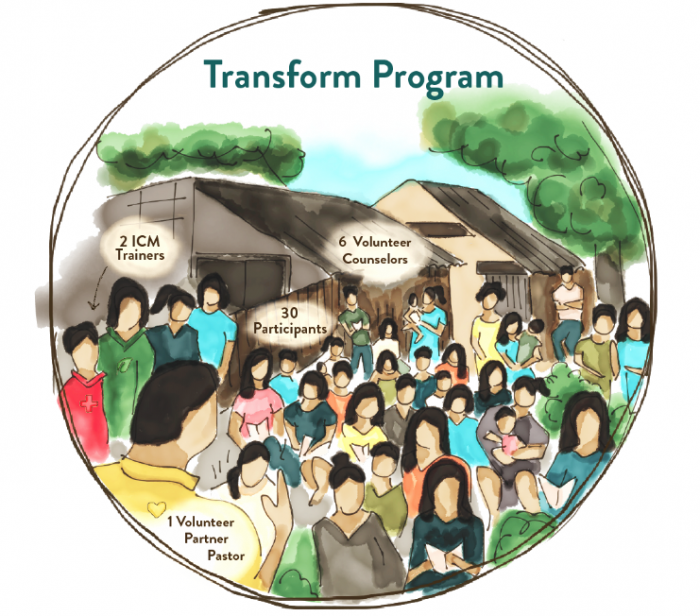 ICM’s Transform program focuses on three key areas: Values, Health and Livelihood. 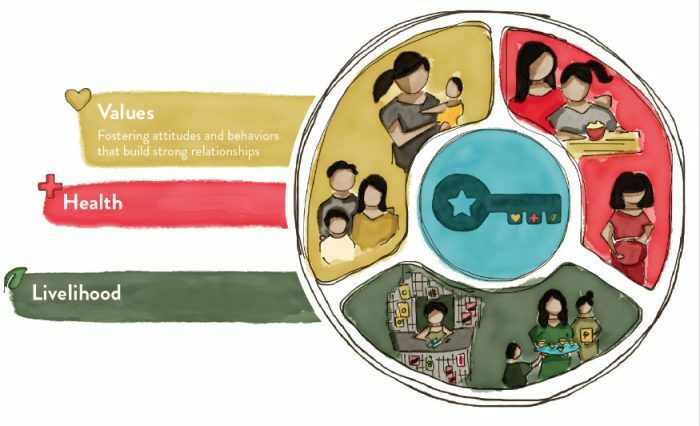 While the Health and Livelihood components target the physical needs of participants, the Values component addresses the battles in their minds. Through the different lessons, ICM aims to help people overcome feelings of inferiority and passivity that hold them back from breaking out of poverty. The Values lessons are taught by the partner pastors who host the Transform program in their communities and are presented from a biblical worldview with a conversational style. The Values lessons have three main focuses: relationships, personal character and wise choices. In the relationship lessons, participants learn about developing their key relationships: their relationships with God, their family, and their community. In the personal character lessons, they learn about self-worth, integrity, and self-control. Finally, for the wise choices segments, they learn about how to set priorities as well as delve into more abstract concepts such as hope and the future. Beyond the lessons they participate in, ICM encourages participants to build stronger social networks, especially with others in the program. This connectedness helps those living in ultrapoverty to have greater respect for themselves and others and it also provides them with avenues to share their struggles and concerns. ICM believes that hope is the key to helping people break out of poverty. The Values lessons are a way to instill some hope into the hearts and minds of our participants, helping them look beyond their dire circumstances and strive for something more. Our research has shown that after participants took part in the Values component, they experienced a 41% increase in hope and a 43% increase in self-worth. We don’t want to simply address people’s physical needs but we strive to meet the holistic needs of each person, starting with the heart.